Experience a revolution in salt water purifying - convert your ordinary pool into a salt water oasis. The AquaPure Ei delivers the ultimate swimming experience without the hassle. In about 15 minutes you can have soft, silky water, free of the annoying and harmful effects of conventional chlorine. And since it purifies automatically, you’ll spend less time worrying about your pool and more time enjoying it. So convert your ordinary chlorine pool into a salt water oasis today. 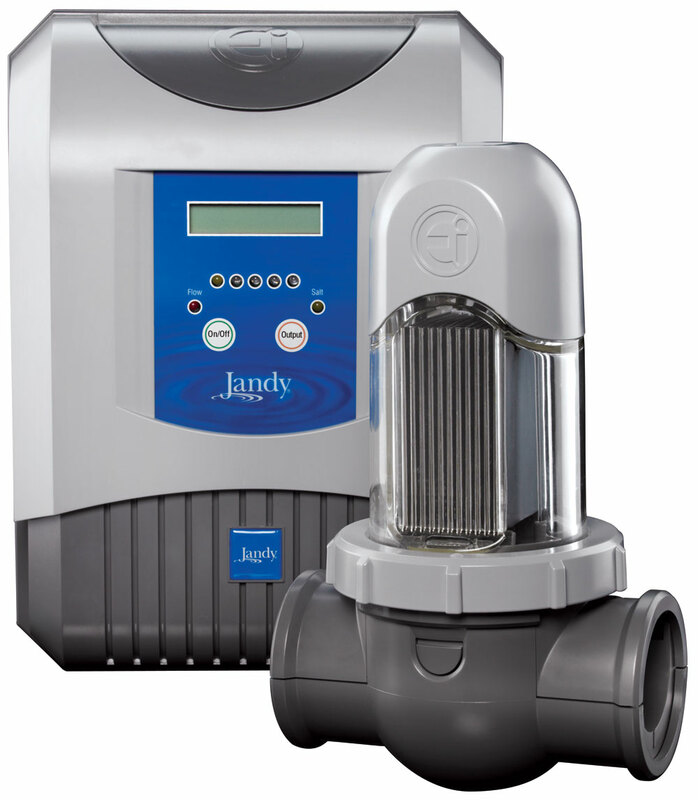 Experience a revolution in salt water purifying. Introducing the world’s first DIY Salt Water Purification System: the AquaPure Ei, a compact, self-contained system. Using ordinary salt that is added to the pool water, the cell generates pure purifier year-round. When the purifier has finished purifying the pool, it reverts back into salt and the whole cycle repeats, making the AquaPure Ei a model of recycling efficiency. Its advanced electronics and auto-reversing polarity mean very little maintenance is required. These sophisticated features and ease-of-use make the AquaPure Ei the best choice for an economical and efficient pool purifier. Featuring 120V plug-in convenience, the AquaPure Ei is very simple to install, taking just three easy steps and requiring zero pipe cutting. Salt water purification has never been this easy or affordable.